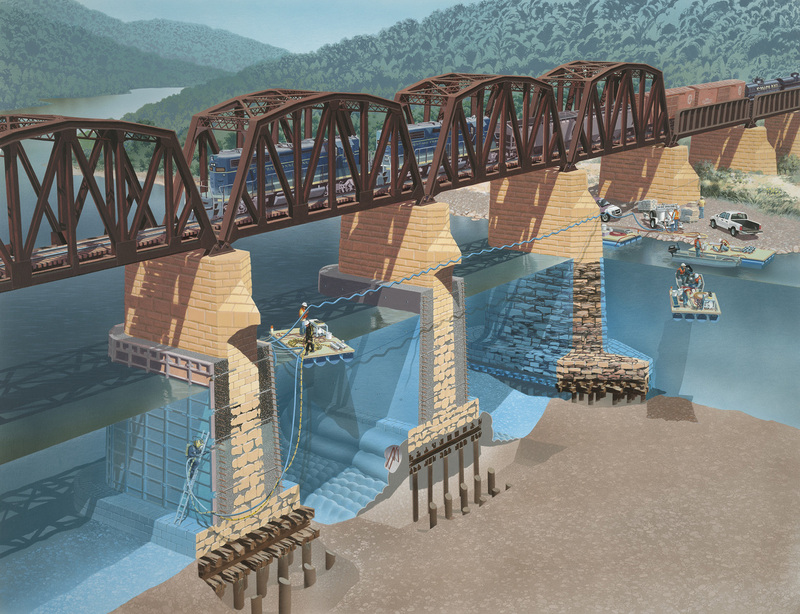 According to the United States Department of Transportation underwater scour is the leading causes of bridge failures, ahead of both collisions and overloading. Scour is defined as the erosion or removal of streambed or bank material from bridge foundations due to flowing water. As many bridges sit over water, the potential dangers of scour cannot be ignored. There are many solutions to scour problems. However, there are two options that we find the most effective.